Mark O'Connell, founder of the UFO blog High Strangeness, details the life of the Air Force astronomer J. Allen Hynek and his contributions to the UFO community. 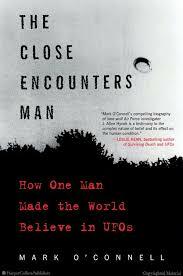 If you're jonesing for an extraterrestrial, you should check out The Close Encounters Man by Mark O'Connell. O'Connell, a writer for Star Trek: Deep Space Nine and founder of the UFO blog High Strangeness, set out to write 'a UFO book people wouldn't need to hide from other people.' He found his ideal subject in J. Allen Hynek, the astronomer hired by the United States Air Force in 1948... In telling the life story of Hynek, the 'astro-beatnik,' O'Connell winds up with a stunning panorama of the UFO movement — from fringe conspiracy theorists to amateur astronomers to agnostic scientists — as well as its colossal impact on pop culture and modern science. 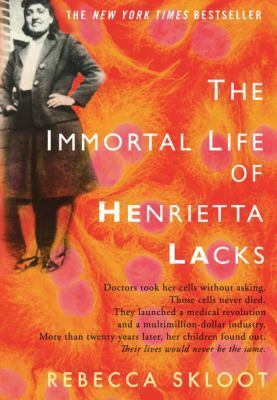 A new biography reveals how Hynek’s life and legend exemplify a lost era. UFO sightings still make the news, but Hynek was something different: a public intellectual who told us to watch the skies ... In The Close Encounters Man, Mark O’Connell notes that Spielberg’s friend suggested the title to the director after reading Hynek’s book The UFO Experience ... His [Hynek's] contributions were brief, but as McConnell demonstrates, cultural history is often the result of unlikely coincidence ... Hynek is a deserving subject, but O’Connell’s book also is notable as a methodical history of the UFO phenomena in America—a story so often overshadowed by the Roswell incident ... McConnell’s a great storyteller, and that’s what needed in a history of American ufology: someone to connect the dots into a narrative. In The Close Encounters Man: How One Man Made the World Believe in UFOs, screenwriter Mark O’Connell recounts the gradual evolution of J. Allen Hynek, an Air Force astronomer, from UFO debunker to believer ... Methodical and undogmatic, Hynek could not have been further from the kooky, paranoid stereotype of a UFO enthusiast. He seemed to be exactly the man who could be counted on to dismiss the phenomenon. Instead, he became its biggest advocate ... It’s clear that O’Connell, who maintains a UFO blog of his own, wants readers to come away from his book agreeing with Hynek. What did you think of The Close Encounters Man?